Alice Walker, author of the National Book Award and Pulitzer Prize-winning The Color Purple—“an American novel of permanent importance” (San Francisco Chronicle)—crafts a bilingual collection that is both playfully imaginative and intensely moving. "[A] strong addition to her mulitgenre literary canon. 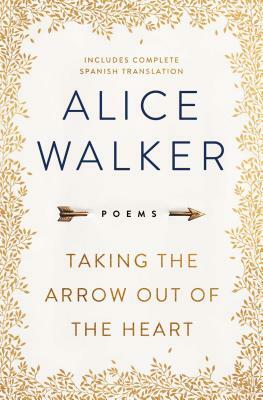 Walker offers the prodding wisdom of an elder suggesting that we can cope by taking comfort in beauty, friendship, and human kindness; by always expressing gratitude; and by turning inward to hold ourselves accountable for what we contribute." "Walker forthrightly addresses our despair while ultimately offering poems of love and hope for all readers." "The [poetry] collection is moving and timely, and highlights the still-raw trauma from our nation’s recent past." "A book that meditates on these contentious times, but also on life, love, hope, and gratitude, it's just what our literary souls were aching for."